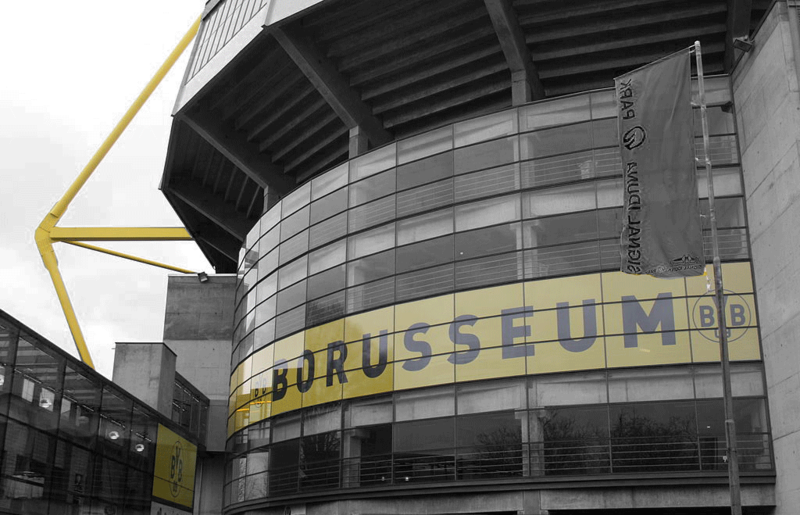 A sad night in Dortmund – Could a more sympathetic compromise have been found? On Tuesday night, Borussia Dortmund were due to face Monaco in the Champions League quarter final first leg at the Westfalenstadion. As you know, the Dortmund bus was subjected to three bombing attempts which, miraculously, only left one passenger, their Spanish centre back, Marc Bartra, hospitalised with a broken wrist. The game was an eagerly anticipated one – two vibrant, attacking sides spearheaded by talented young forwards without either possessing watertight defensive lines, were set to put on a spectacle that had all observers licking their lips in anticipation. That the game was merely shunted back 24 hours by UEFA raised a number of challenging questions. On the one hand, the show must go on. To run scared, to hide, is merely to kowtow to the wishes of the attackers. Yet, to play on in such circumstances ignores the very real human involvement. Footballers are easy targets for jealous eyes that possess little understanding of economics and the value of anyone’s work. They’re just overpaid prima donnas who prance around picking up more money in a week than the vast majority of us could wish to earn in a year, to their legions of lazy, unimaginative, ignorant detractors. But these are still young men; human beings. The confusion and panic of being at the centre of such events as those that the Dortmund team underwent on Tuesday night are familiar to only a few, thankfully. 24 hours is no time at all to digest that experience, worry about a friend and teammate, mentally focus on a game of football and actually play it out. On the night, Dortmund were very nearly put out of the competition by Monaco. They went 2-0 down as Monaco swept forward with unforgiving verve early on. They even squandered a penalty to inflict further damage. It is testament to Dortmund that they were able to address some of the on field issues, eventually losing the leg 3-2 to offer some hope for next week’s return fixture in Monaco. Tuchel himself put on a defiant front, frantically gesticulating throughout, kicking every ball with his team and revving them up, despairing at their defensive lapses and delighting in their two goals. It may have been an act, but it was a convincing one from a man trying to lift a team in the most curious of circumstances. The focus of the tie was taken away from the football. That should never have been allowed to happen. You can have some sympathy with UEFA’s decision to postpone the game only 24 hours. The football calendar is jam packed at the best of times, so to find another window for such a fixture is extremely challenging. Challenging, but not impossible. A more sympathetic compromise could easily have been found. Could the first leg not have been postponed until next week, with the return leg the week after? We don’t yet know all the facts from Tuesday night, yet the footballing bandwagon has rolled on. A bit of breathing space would have been appropriate.